Day Blindness came together in 1968 from a pair of competing bands at Jefferson High School in California's San Mateo county. One of the bands was a trio led by guitarist Gary Pihl -- from nearby Santa Clara High -- and included Felix Bria on keyboards and Dave Neuman on drums. This unit ran across one of its rivals, the Dimensions, at a county battle-of-the-bands competition at which both were short-listed. the Dimensions were made up of the Tabucci brothers, Mark and Charles, on saxophones; lead guitarist Ken Starr (younger brother of a Ventures member); Roy Garcia behind the drums; John Vernaza on rhythm guitar; and bass player Ramos Ramirez. So impressed were Pihl and Bria by Garcia's drumming abilities upon seeing the band play that they soon asked him to replace Neuman. The resulting trio officially became Day Blindness in the summer of 1968. Over the next year, Day Blindness played gigs at many of the most notable venues throughout the Bay Area, even landing an opening slot for Sly & the Family Stone, both locally and on tour. By 1969, Mark Tabucci, who had also become a behind-the-scenes supporter of the band during the Dimensions swap, began to construct a small studio at 10 Claude Lane, funded by local backers and sponsors, in anticipation of the recording of an album. Once Studio 10 was ready, Day Blindness, with new skinsman Dave Mitchell in Garcia's old spot, set about working on that debut record. During the sessions, both Bob Dylan and Janis Joplin stopped by to submit a variety tips, including song titles and artwork. Soon thereafter, Day Blindness was released, though to little fanfare. The band started to come apart almost immediately after the album's release. Producer and engineer Tom Press used some of his proceeds from the album to buy a Harley-Davidson motorcycle and disappear into the '70s. Tabucci became an automobile repairman for the Jefferson Airplane. Drummer Mitchell went on to produce and engineer for other acts, including Emerson, Lake & Palmer. Pihl later turned up in platinum-selling rock band Boston, then went on to play with Sammy Hagar in the 1990s. Day Blindness, not a big seller upon its release, took on a life of its own in collector's circles. 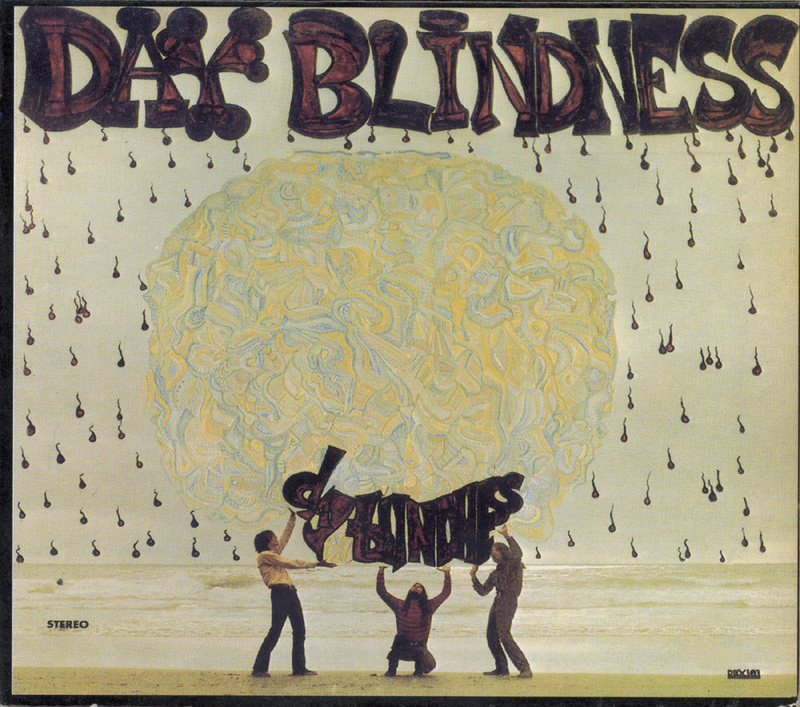 This very obscure & classic album created by the San Francisco psychedelic band Day Blindness in 1969 features driving guitars & crunching organ. Long jams sum up their music, which shows influences of both Iron Butterfly & The Doors. In the wake commercial successes enjoyed by San Francisco-based bands such as Country Joe and the Fish, The Grateful Dead and The Jefferson Airplane, big and small record labels went into a corporate feeding frenzy, determined to find another act that could bolster their profit and loss statements. As you'd expect, the results of their search were mixed, with lots of marginal acts getting a brief shot at the spotlight. 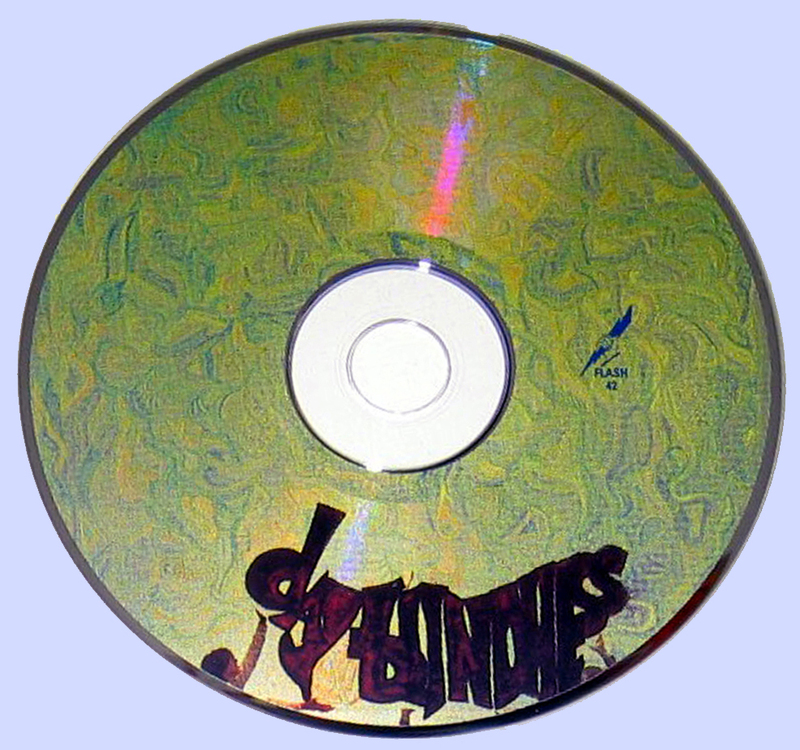 One of the bands that apparently benefited from that corporate talent search was Day Blindness. Singer/keyboardist Felix Bria, drummer Dave Mitchell and guitarist Gary Pihl started out in 1967. Within a year they'd made a minor name for themselves on the city's club circuit, where they became fairly regular performances at Bill Graham's Fillmore, the Avalon Ballroom, as well as a regular featured at free concerts at Golden Gate Park. Along the way Mitchell was replaced by Roy Garcia, with Bria being replaced by Johnny Vernazza. Recorded at San Francisco's Studio 10 with Tom Preuss producing, 1969's cleverly titled "Day Blindness" seems to fall in the latter category. While we've seen it garner some fairly high sales prices on recent lists, musically their album isn't anything to get real excited about. Recorded as a trio in the wake of Vernazza's departure (he reappeared as a member of the Elvin Bishop Band, followed by a stint with Norton Buffalo), the remaining trio were certainly competent musicians, but none of their material was particularly original. Tracks such as 'Young Girl', 'Middle Class Lament' and 'I Got No Money' offered up a fairly standard mix of pedestrian electric blues, harder rock numbers and modest psych moves. That lack of originality, coupled with the absence of a strong or distinctive singer didn't exactly help the proceedings. If you had to pick a couple of highlights, go with the bouncy 'Live Deep' (which also sported a nice Pihl solo) and the weird, 12 minute plus Doors-influenced 'Holy Land'. Ah, there is much disagreement as to the fate of Gary Pihl​​, but that only adds flavor,in search for info on this topic ...Guitarist Gary Pihl later joined Sammy Hagar's band 1977' and stayed until 1984 when Tom Scholz of Boston asked him to join the band and stayed on the remaining albums this band. Marios Thanks again for sharing your collection...I greet! Link dead,thanks for repost this beauty.Too many stuff and not enough time?